This is a repost of the review that I ran a couple of years ago on the truly mind blowing Tekkonkinkreet. This is one of the touchstone films i my love of animation because there is nothing like it which is why you should see it. 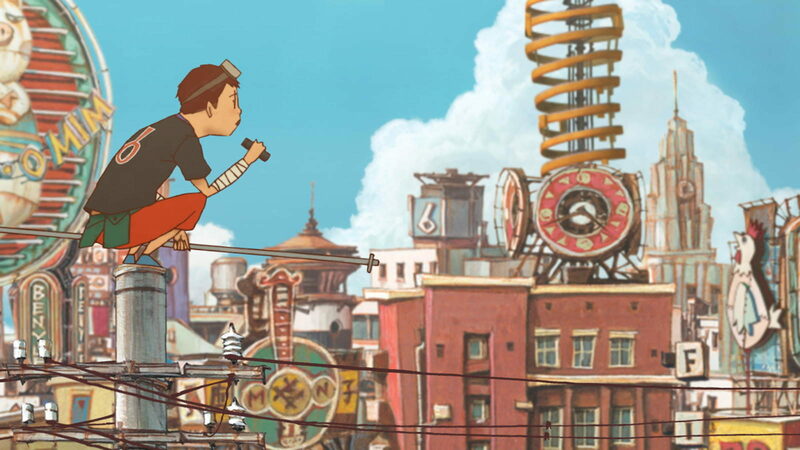 Tekkonkinkreet is the story of two kids named Black and White. They are known as the Cats and are considered by some to be the protectors of a part of the city known as Treasure Town. As a year goes by a yakuza captain returns to the city and a man named Snake appears with his eye on turning that part of the city into an amusement park. I'm explaining it badly, forgive me, since this is a film thats better to experience than to hear about. Using a mix of 2D and 3D CGI this is a film that is vibrantly alive. 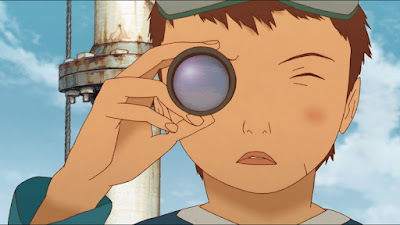 There is a real sense of place that is missing from many animated films. The world bleeds off the screen. The film rarely sits still its constantly in motion as characters go from place to place or engage in battles for life and death. Its an amazing thing to watch. The characters are very real. I watched the film with the English dub (I know boo hiss) and the choices of actors was wonderful. The voices of the kids were kids and seemed to perfectly match their personalities. The same goes for the other characters as well. What I liked was that the kids were kids. They seemed to be real kids behaving in the situations presented. Granted the film is wildly fantastical but the personalities and behaviors outside of the running and jumping and beating people up was real. A word of warning, this is a dark film at times. There is a great deal of violence, which despite being animated is very nasty and bloody. The film also has some dark undertones as some of the characters slip into the darkness of their souls. Its disturbing enough to get an R rating. Over all worth a shot. definitely see this in widescreen since the compositions are geared to that. For tickets and more information go here.